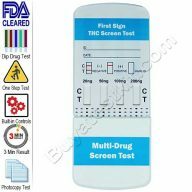 Drug test kits for home – discreetly shipped. 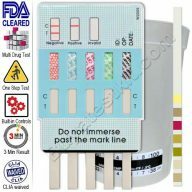 Never be afraid to drug test your teens and never, ever give them an advanced warning before testing them. We understand that this can be an anxious time, but you are doing this to deter or control drug abuse and ultimately to protect your family. Ask questions, try to talk about what they do with their friends and reason with them. 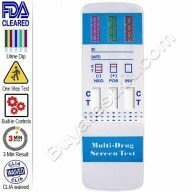 At home drug tests are used by parents as often as is necessary and can be the single most significant deterrent in preventing family drug abuse. Check their room for signs of drug paraphernalia, powders, and pills. 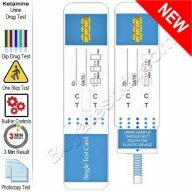 Try our starter surface test to detect up forty different drugs by merely wiping a surface you suspect. 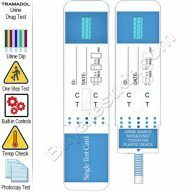 Or take a look at our full range of Drug Residue Tests. These products can not only detect unknown substances but identify them too. Use on surfaces, unidentified pills and liquids as well. As a guardian, you are legally and financially responsible for your children’s actions until they reach 21. 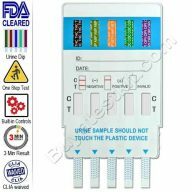 Note: Teens will often add compounds (adulterants) to their urine sample to hide or mask drug use, they may even use fake urine to pass the test. 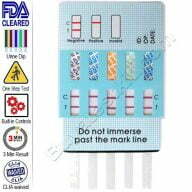 By using a Drug Adulteration Test Strip, you can check for this whenever you are suspicious. 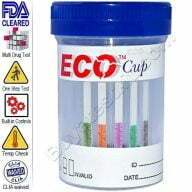 Always use a Specimen container to collect the urine sample. Click here for small quantities. A study on teens who admitted to taking drugs revealed these disturbing results. 21% used marijuana in the past 30 days. 25% used illegal drugs in the past 30 days. 36% used pot in the past year. 41% of teens used illicit drugs in the past year. 48% of the teen population has tried marijuana. 53 % of the teen population has tried illegal drugs. Prescription drug abuse among teens is a serious and significant problem. Check your bathroom cabinet for old and unfinished prescription drugs and responsibly dispose of them.